Looking for awesome and unique mermaid tattoo designs? Not satisfied with what you have found so far? Maybe you'll find some inspiration here. I've collected some ideas that are sure to spark your interest and creativity—just hold onto your fins. Mermaids have been part of world mythology for centuries, with sailors telling stories of seductive fish-women leading ships onto rocks, or fish-women trying to save drowning sailors. Positive and negative legends about mermaids continue to be told to this day. Although most people today concede that mermaids don't exist, many are drawn to the idea of them. Some so much so that they decide they would like to have the image of a mermaid tattooed on their bodies ... maybe as a reminder that fantasy still exists in reality. There are many different designs to choose from—some cheesy but some unique and gorgeous. 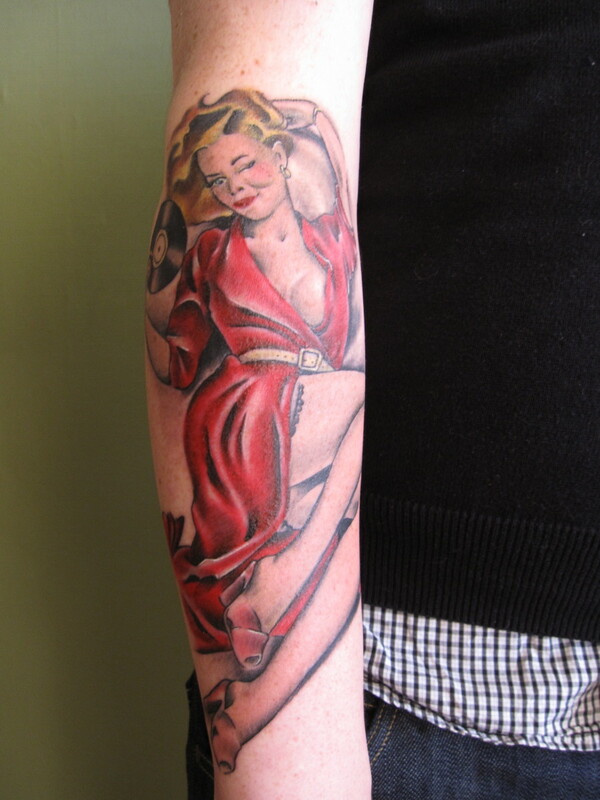 How retro and old-school is this old Sailor Jerry type of mermaid tattoo above? 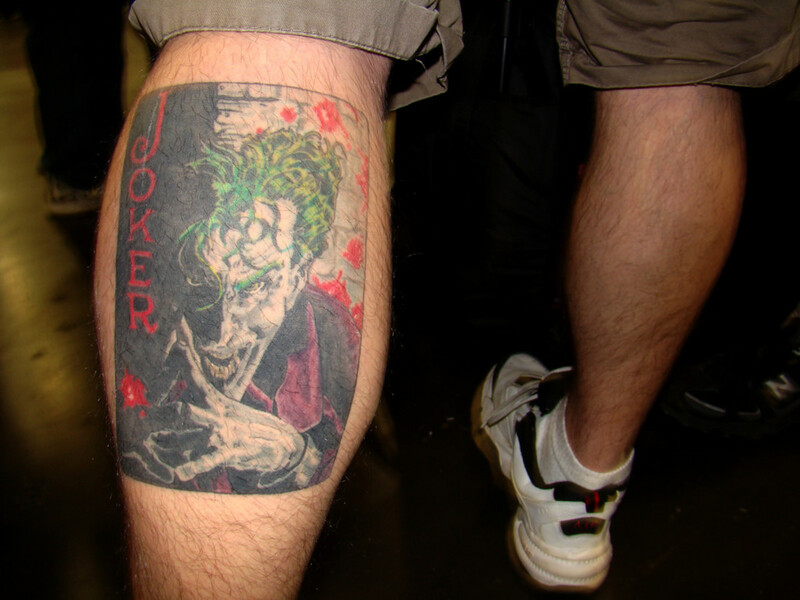 Yet it has the quality and artwork of a modern-day tattoo artist. Maybe this is your style of design because of its nostalgic appearance and throwback qualities; maybe you're a sailor, or wannabe-sailor. Maybe you're a water sign, or a pagan who connects with the element water. 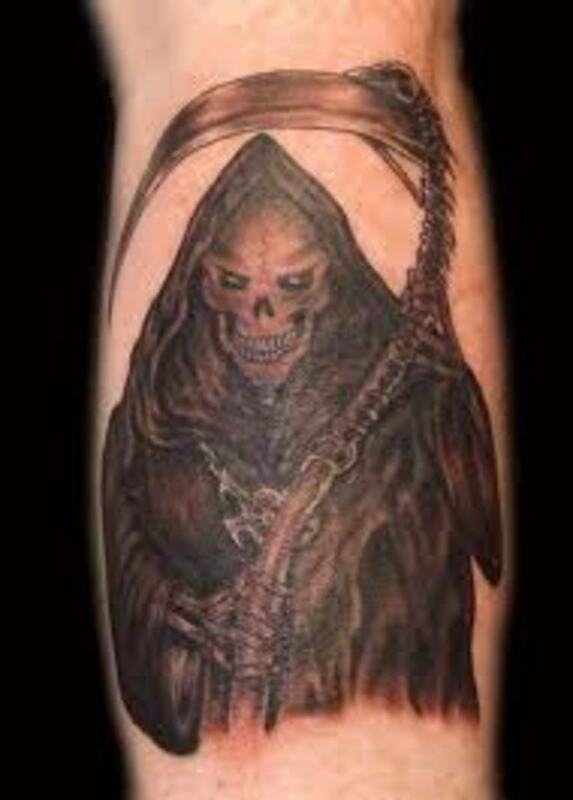 If so, you might want to think about getting a tattoo design that has spiritual meaning. In the beautiful, magical picture above, two mermaids form a circle of life, if you will, with the sign of infinity being enveloped in the middle. It is like they are yin and yang, as one mermaid is in black and white and the other mermaid is in full color. 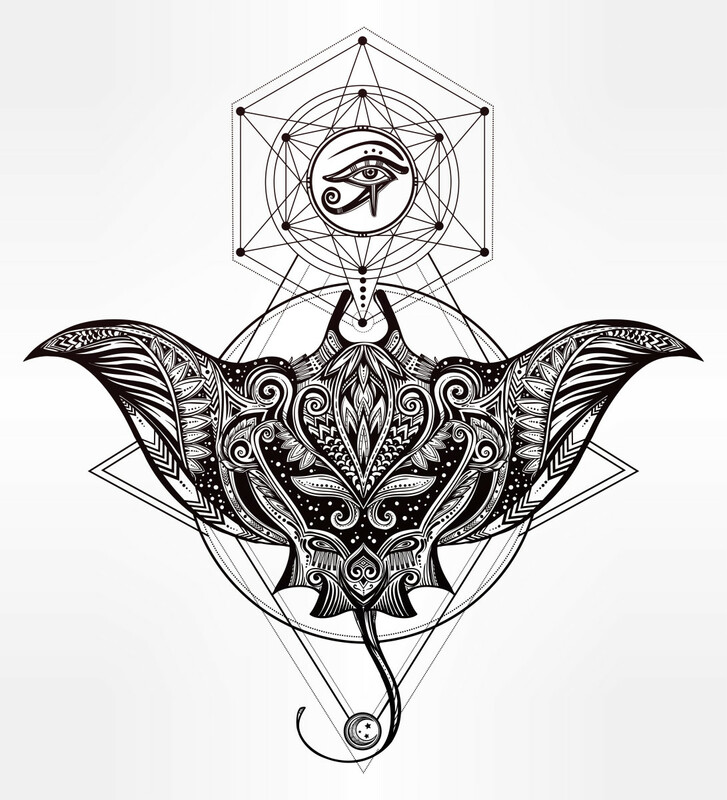 Be creative and be true to your spirituality when thinking up your own mermaid tattoo ideas. Add your own astrological sign to the design. What about simple mermaid designs for extra-feminine women? No problem! Many women were in love with the movie The Little Mermaid when they were young. 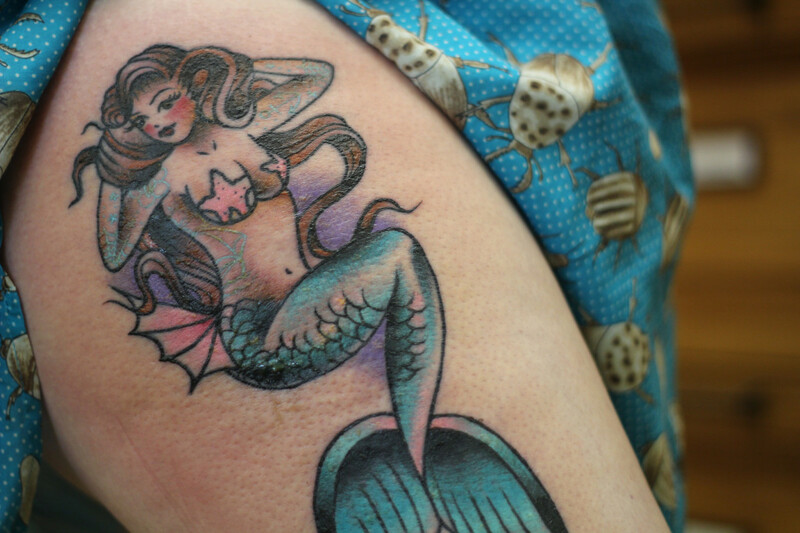 If being a mermaid has some significance to your childhood, why not get a reminder of your childhood tattooed on your body? A little mermaid design would be just the thing to keep faith with your past. Go to Disney, or better yet, to the Hans Christian Andersen story for ideas. If you're willing to do a whole sleeve or back tattoo, think about getting a scene of mermaids. 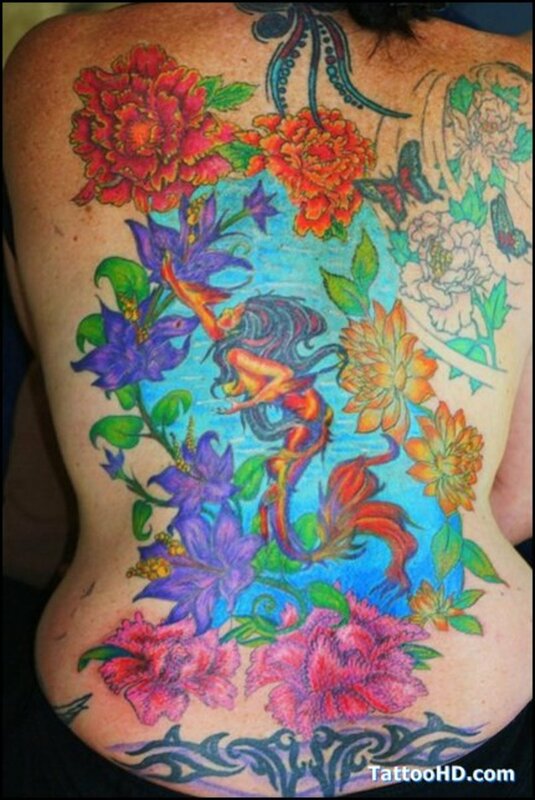 Ideas for a mural tattoo could include a mermaid in an underwater flower garden (as shown above), or a mermaid in an underwater castle scene. What about a mermaid or mermaids sitting on rocks, combing their hair? Think about the image of sirens calling to ships. What image or scene pops into your mind when you think of mermaids? 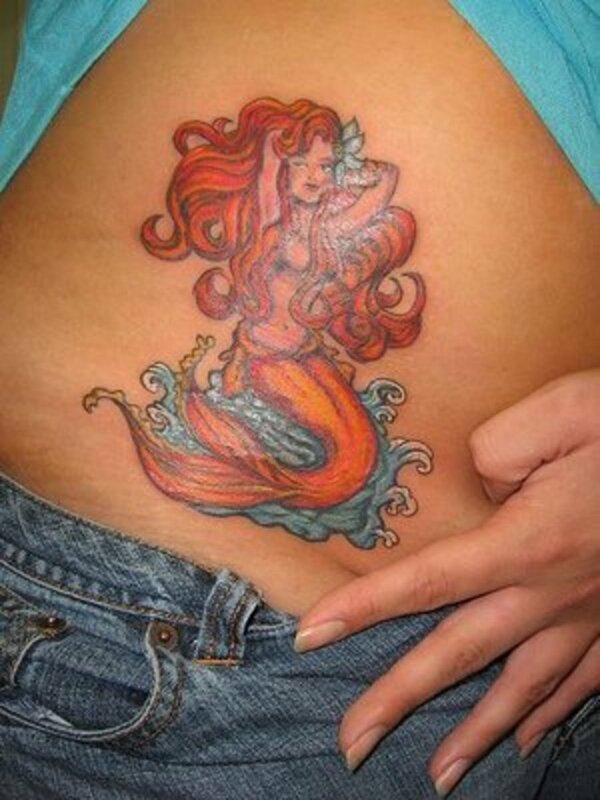 Go with that image as your authentic and majestic mermaid tattoo design...go with your gut. You can display a hot pink object of desire, if that's what you have in mind. If none of these mermaid tattoos float your boat, then find something that is unique to you. 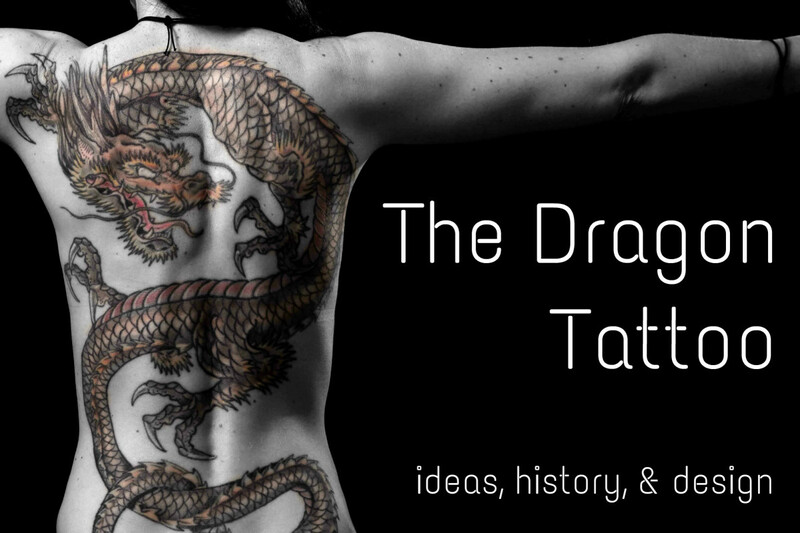 You don't have to go with the exact tattoo that someone else is sporting, so find something that is different and yet still attractive. 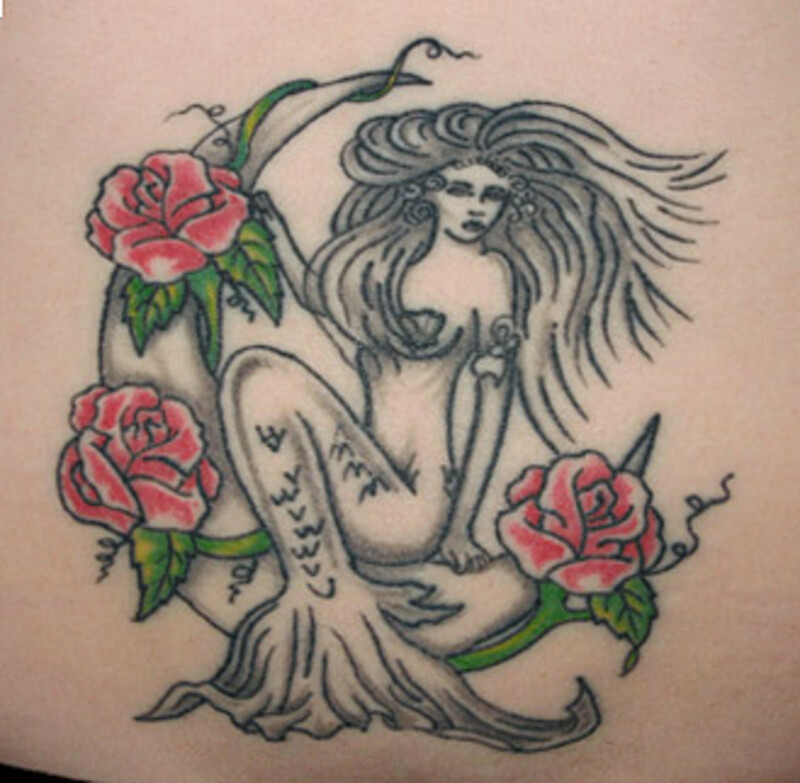 It is a beautiful mermaid tattoo, isn't it? It also just feels so peaceful. Thanks! Gorgeous designs. 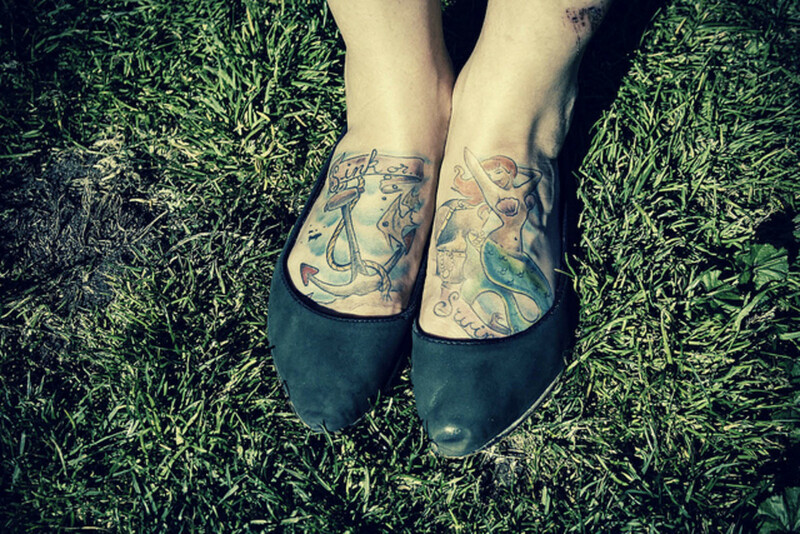 The top one is one of my all time favourite mermaid tattoos. Lovely hub! Awesome! Hopefully she'll gain some inspiration! Those are some fantastic photos. True story. 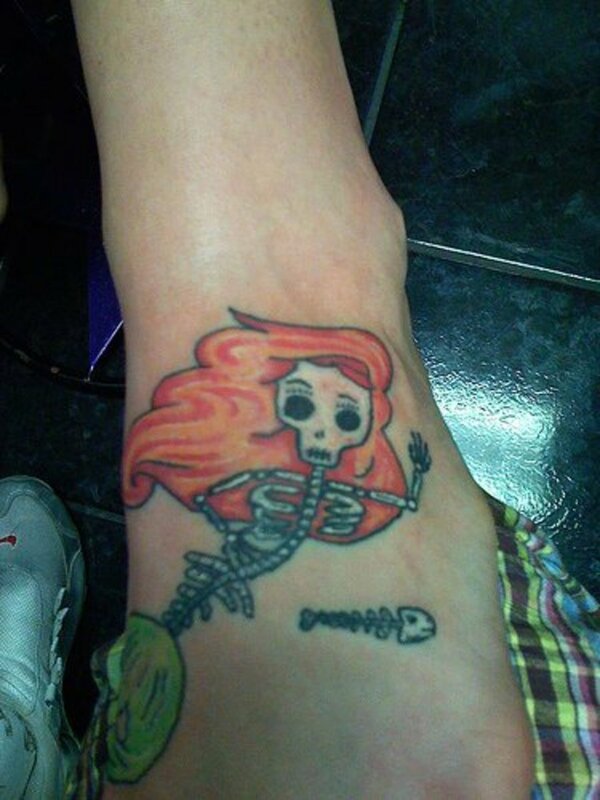 My friend told me today she wants to get a mermaid tat. I am going to show these to her. Lady_E - I agree, love the mermaid tattoos. TattooKitty - OMG! Why didn't I notice the stinkin' hot dog in her hands? Haha...wow. I don't know who would want their mermaid holding a hot dog but I'm going to guess it's a guy. Thanks for stopping by! Love the hub! 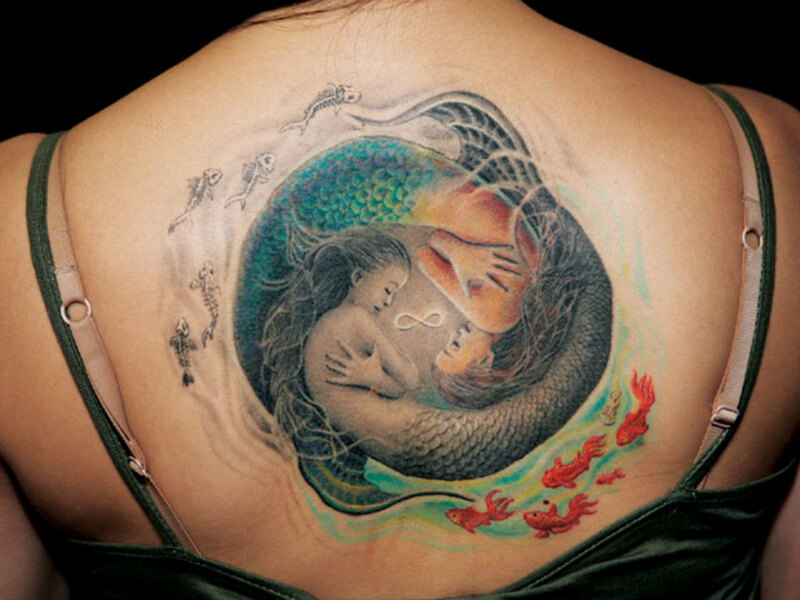 Mermaids symbolize the beauty of mystery and the compilation of designs you offer here are fantastic. 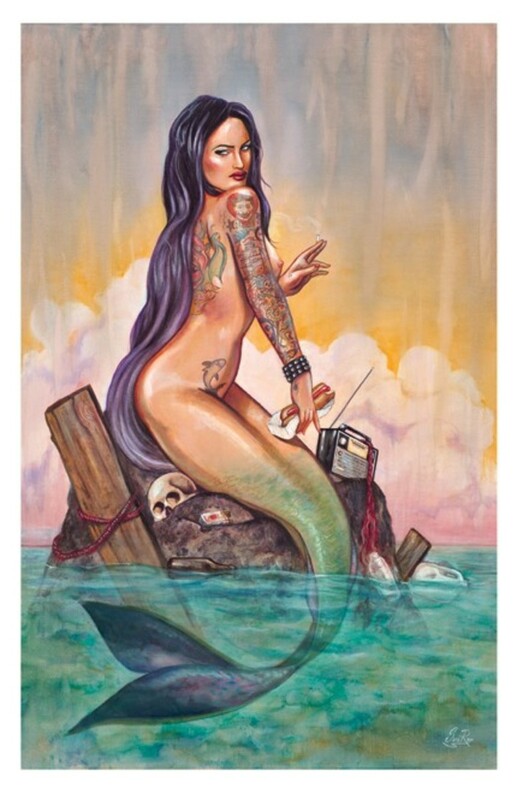 I like the Gothic mermaid design...but I'd probably axe the hot dog she's holding- LOL! Voted up! They are lovely and creative designs. beth - Thanks, I thought these mermaid tattoo designs were pretty gorgeous...and magical in some way. 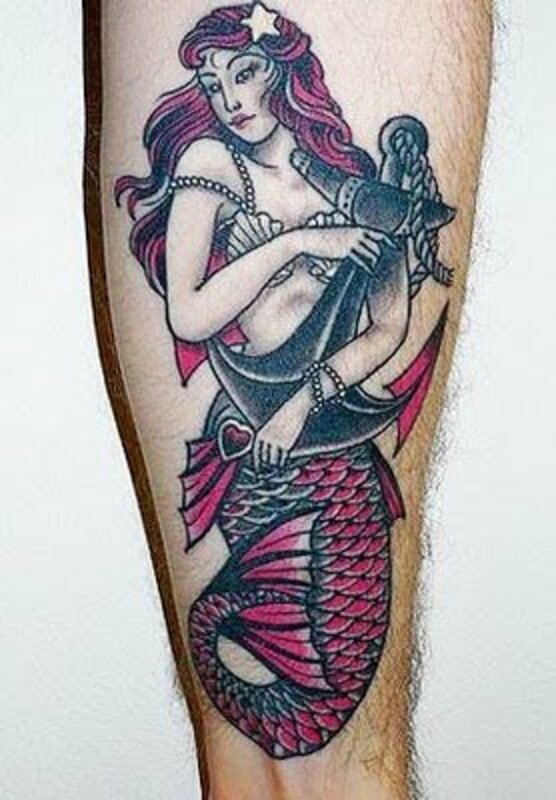 Sounds like a good idea for a mermaid tattoo! What's the name of the series? kitty, these are so beautiful. I have a friend who has written a mermaid series; I'd love to see one of her book covers as a tattoo! Thanks for posting; very delightful hub! delmer - That's awesome. It is definitely a form of self expression and a wonderful one at that. 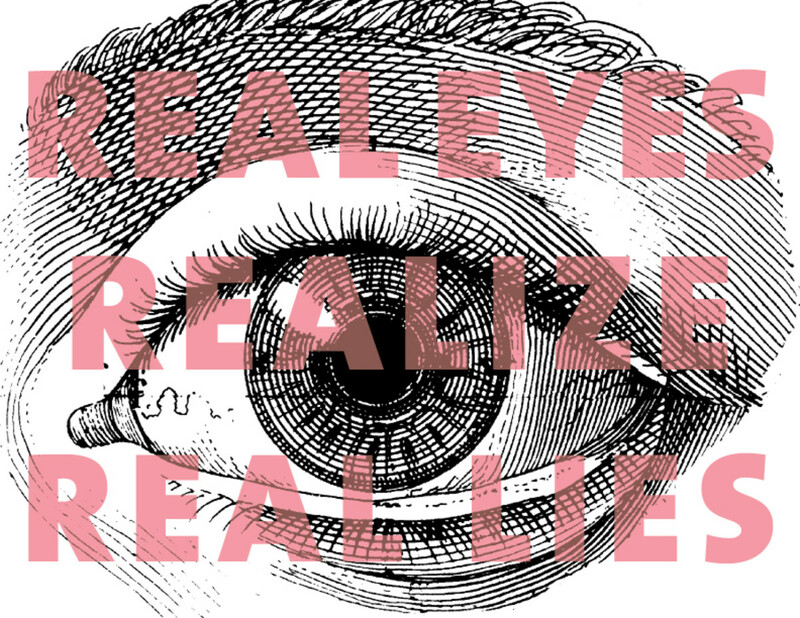 Thanks for reading/commenting! I love tattoos....my best friend and her daughter have many of them, and I appreciate their beauty and their form of self expression. Thanks for posting!